HOPE: A Tragedy by Shalom Auslander is my kind of hysterical. For one, it is totally cringe-worthy: a paranoid Jewish father who finds Anne Frank, alive and geriatric, squatting in his attic. Auslander’s protagonist is riddled with Holocaust guilt; he simply never suffered enough, despite his mother’s PTSD from a war that ended before she was born. This novel is bitingly funny, crisply rendered, and impossible. Loved it. 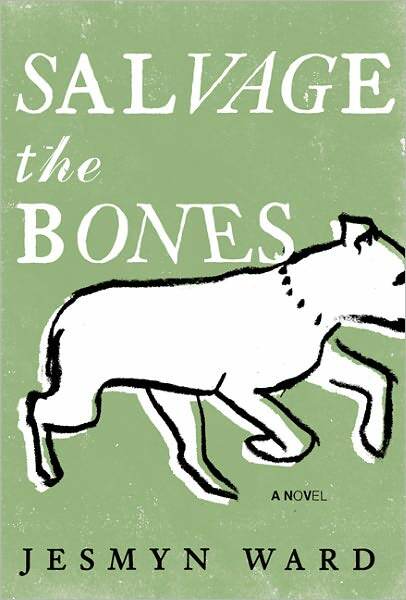 Salvage the Bones by Jesmyn Ward is a rich, sensual, serious novel about a small Mississippi family facing Hurricane Katrina. Like most National Book Award winners, this is a coming-of-age story; the 15-year-old protagonist is poor, pregnant, and desperate for the smallest sign of tenderness. That said, the girl-narrator is strange and bright, and brings Greek myth and a fierce setting into her narrative without a trace of self-pity. Gorgeous stuff. Blue Nights by Joan Didion (pictured above) was not an easy read. This is a memoir about grief, whereby Didion, now nearing the end of her writing career, meditates on motherhood, mourning a dead daughter, and her own fragility. Harrowing accounts of waking up on the floor bleeding out of her head and watching her daughter die in four different ICU facilities are stitched together to fashion a kind of dreamy meditation. This book is slender and cryptic, but a testament to a Joan Didion’s prowess as memoirist numero uno.